Dana reconstructed her house and chose this picture to decorate her place. She wanted a photo printed on canvas in large size. Almost all of my photos are taken with Nikon D800 and just for this purpose, the large size of the sensor is more than an advantage. 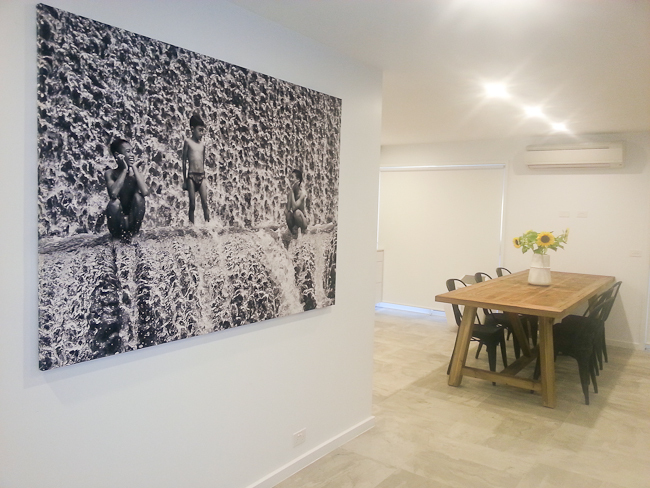 Such big prints, 2 metres like this and even larger is therefore not a problem. We have been looking for a piece of photography for some time to use as a feature art piece in our home, and we instantly fell in love with the Unda River photo by Matej Michalik. Matej has captured a moment of pure joy on the faces of these young children. The simplicity of the moment and the stunning background together creates an amazing photograph. Thank you for choosing my picture and I wish you all the best. If you would like to order one of my fine art prints, feel free to contact me.